For the previous two weeks, I have been chatting with you about an upcoming art project that would speak to the Franciscan character of the parish. 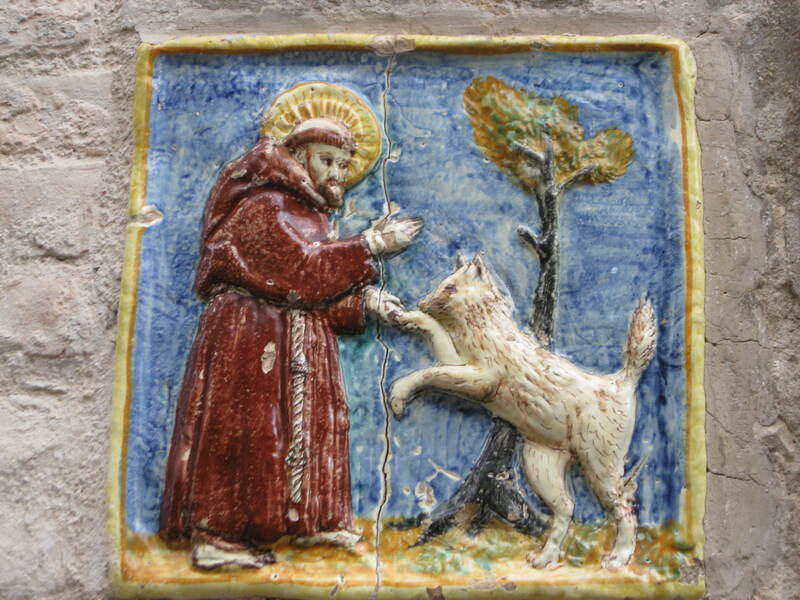 Last week, I said that we had found a sculptor who was deeply rooted in the Franciscan tradition and had proposed a work for outdoor placement – a sculpture of St. Francis of Assisi and the Wolf of Gubbio. After all the promises of “next week,” next week has arrived! Please click here to find out more about our project! Every year – or so it seems – very good biographies of St. Francis of Assisi are published. The ones published in the last 10 years all share some great qualities: readable and increasingly historical – introducing the “real” St Francis of Assisi to the world.